The best belt sanders will also help to smooth rough surface be it on wood, concrete, or metal easily. Does this interest you? I bet it does. Read on to find out all you need to know about Belt sanders and other types of sanders available. 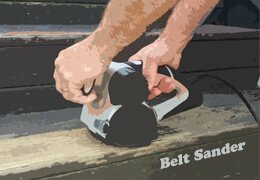 It is unfortunate that many people still use old tools for sanding instead of using quick, efficient, and easy to use sanding tools such as belt sanders. If you have tried to clear paint or a nasty stain on your wall with sandpaper, you probably know how tiring it can be even if you are dealing with a small portion. However, we are not in the Stone Age. Taking advantage of a belt sander can help you to get rid of a stain or remove old paint within a few minutes. 1 What is the Difference​​​​​ between Palm Sander, Belt Sander, and Random Orbit Sander? Sanding is one of the time consuming and tedious task in construction. Choosing the wrong belt sander may make this exercise more complicated. This is why you need to select the best belt sander that meets your needs. If you have never used a belt sander, it is best to take your time and familiarize with one before purchasing. You can do by visiting a local workshop or taking to one of your friends who already have one. Since this tool is bigger, and livelier than a pad sander mixer or a drill disc, familiarizing with it is crucial. Doing so, will also give an idea of what you really need depending on the project you have in mind? What is the Difference​​​​​ between Palm Sander, Belt Sander, and Random Orbit Sander? Before looking at the best belt sanders available on the market today, let us look at the types of the sanders and their application. As the name indicates, this type of a sander comes with a sanding belt that is used in smoothing the rough materials. This sander is a great choice for those who want a sander to help them in smoothing large, flat, and rougher surfaces. 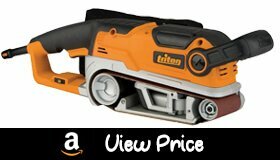 This unit has a powerful motor that drives the sanding belts and a tracking adjustment knob that boosts its efficiency. This sander is a great choice for removing varnish, paint, and stain. This is a combination of a belt sander and an orbital finishing sander. This unit moves in random orbits, allowing it to vibrate in small circles. This makes it a useful tool that can be used for both ultra smooth sanding as well as stock removal. Additionally, since this tool spins and vibrated at the same time, it will remove the swirl that is often left by ordinary orbital sanders. 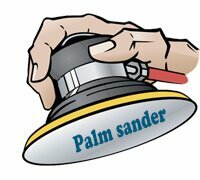 Palm sanders are ideal for handling final touch ups. This sander, also referred as a finish sander moves in small circular orbits, taking care of any uneven surface. Unlike the belt sanders, these sanders are compact and allow you to get rid of small uneven patches on your material. 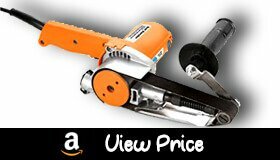 To help you in making a conclusive decision, we will also review the best belt sanders on the market. Going through the information might help you in finding a model that has everything you need. Moreover, selecting any of the listed product to ensure that you will find a machine that you can depend on when it comes to sanding different materials. Makita 9903 Speed Belt Sander powerful 8.8 AMP motor that has the capability of high speeds of up to 1,440 feet per minute. This unit is equipped with a variable speed that allows you to change the speed easily to match your application. The unit also is adjustable to accommodate pads that of different grits sizes. This helps you to tackle different application with ease. You will also love the durable construction, making it a great choice for those who are looking for a professional sander for tough application. Some of the other great features that you will enjoy the dust collection system that assist you to clean all the dust leaving your workbench clean. Besides, the long power cord allows you the flexibility, enabling you to set your workshop in a convenient place. Additionally, this unit features a comfortable grip design that reduces the user's fatigue while increasing the sanding efficiency. We have included this model as one of the best sanders on the market for a number of reasons. First, this unit has an affordable price and features advanced features that are hard to find on other high products. With its redesigned shape, this unit has the ability to do more than sanding. It is a great choice to pick when looking for a tool that grinds, polish, scrubs and buffs metals, cement as well as wood. One of the other features that you will love about this product is that it works with multiple roller sleeves and wheels that allow you to work on the material easily. You will also enjoy the pistol grip design that lets the user to control it using one hand. The Hitachi SB8V2 features a silent operation, making the best choice for those who live in a quiet neighborhood. With a 9.0Amp motor, you can trust the performance of this model when dealing with any application. 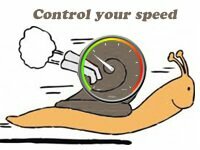 The unit has a variable speed dial that offers you speed from 820 to 1475 feet per minute. This allows you to work on most of your projects with ease. The unit also has a soft elastomeric grip surface that gives you a comfortable and secure hold. 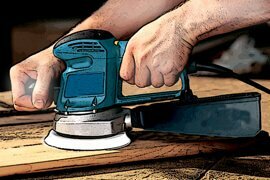 Sanding does not have to be stressful any longer as the sander also has a tracking window that improves the visibility of the sanding surface. This makes this model one of the best sanders for beginners and people who does not have much knowledge on using it. 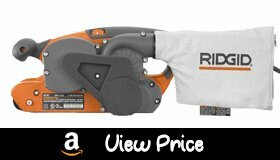 The Ridgid ZRR2740 will give you a balance between performance and affordability. In fact, this is one of the most affordable Sanders available on the market. One of the reasons why we included this product in this best sander reviews is its lightweight and compact that makes it easy to work on tighter areas where other Sanders cannot reach. The unit also features a futuristic and modern design that helps it to maintain a decent look. Another feature that makes these sanders unique is the twin fan dust collection that has efficient dust collection. Besides the soft grip handles boost your comfort while at the same time decreasing the vibration. To enhance your convenience, this unit also has 12 feet long all rubber cord that is not only durable but also allows you flexibility when working on your project. The, longer, wider and durable sanding belt is one of the main advantages that come with this unit. The unit is also easy to customize with the easy to adjust auxiliary handle, as well as the belt tracking adjustment. 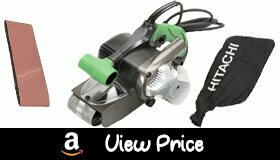 To make your work easier this best sander also comes with a rear dust port that you can connect to your vacuum system. Additionally, you do not have to purchase additional tools to start using your sander as; the package includes a dust bag, inversion stand, and a 3x24 inch sanding belt. 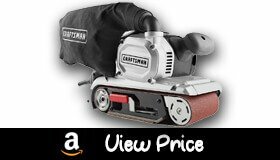 Craftsman is not only one of the renown brand that manufactures best reciprocating saws but also does a great job when it comes to producing belt sanders. 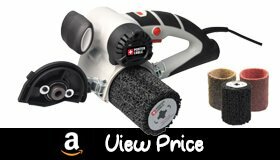 With wider sanding belt than most of the other sanding belts available in our review, this unit will assist you in handling tougher jobs with ease. The unit comes with a dust bag that will assist you in leaving your workstation clean as you found it. You will also love the convenience of the ten-speed settings that assist you to work on different metals, wood, and cement. You can easily control the settings to get the desired results. 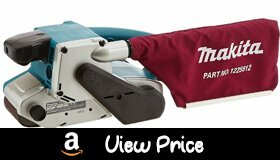 This low profile portable belt sander is great for sanding cutouts as well as notches. The unit is available in both 110V as well as 240V models making them ideal for almost everyone. For ease of maneuverability, this unit has side handles that offer a firm and comfortable grip. 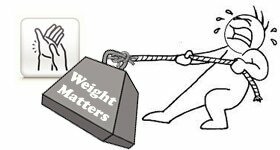 The unit is light in weight reducing the user fatigue. This makes it easy to use even when tackling large projects. This is probably the first thing you should look at. Depending on the projects you have in mind, make sure you have selected a belt sander that offers you with adequate power. The power of the sander is usually indicated in Amps. The higher the Amps the high the power. In addition, while choosing the best belt sanders look at the weight of the unit. The rule of the thumb is to select a model that is light in weight as it will be easier to work with. Selecting a belt sander that has varying speed will help you to find a model that you can use for various applications. Remember not all materials are the same, some will be hard to smoothen requiring more power while other might be damaged when using high power. This is another feature that you should consider while picking the best belt sander. A unit with a dust collector will help you in cleaning your working area as you continue with your work. This simplifies your work since you do not have to do the cleaning after you are done. Although the latest sanders feature a modern design that makes them ideal for multiple applications, some models are more compact and feature a more ergonomic design than the others feature. The best belt sander should have comfortable and soft grip handles that minimize user fatigue. There are various types of sanding belting. The choice will depend on what you are sanding. The size of the sanding belt will also depend on the project at hand. One of the materials used to construct these sanding belts is the aluminum Oxide. This is one of the abrasive materials that you can use; it is used in removing stock to finish. It is available in 36-100 grits. Probably these sharpest and hardest abrasives allow for fast stock removal as well as a cool cut. The belts are available in 36, 24-180 and 220-600 grit. Lastly, we have Scotch Brite, which is a surface conditioning belt that is useful in finishing, cleaning, deburring, as well as blending application. The above-mentioned belt sanders are doing not only come with the features that you need in efficient sanders but are the most cost effective choices you can find on the market. Before making the final decision, you just need to have a clear picture of sanding projects you will be doing and using our detailed guide you will find exactly what you need.